Young Adult literature has evolved at a fast pace over the last decade, with its readers calling for ever more sophisticated and thrilling stories. This course will focus on writing fiction that will have younger readers gripped from the first page until the last. 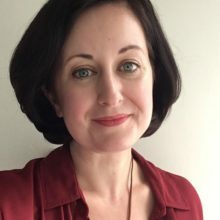 We will explore genre tropes and story structures, how to balance world-building with action and plot, techniques to keep tension high, and useful tips for the drafting and revision processes to ensure your work packs a punch. The course will be delivered through workshops and one-to-one sessions and will focus mainly on novel and novella-length fiction. Kat Ellis is a Young Adult writer from north Wales and her novels have been published in the UK and US. Her first novel, Blackfin Sky (Firefly Press, 2014), was a Junior Library Guild Selection and a YALSA Popular Paperbacks Pick in the category of murder, mysteries, and mayhem. It was followed by Breaker (Running Press Kids, 2016), and then Purge (Firefly Press, 2016) ─ her first YA sci-fi thriller. Her latest publication, The Twins of Blackfin, is a prequel novella to Blackfin Sky, and features in the Three Strikes anthology from Firefly Press (2018). Rhian Ivory trained as a drama and English teacher and wrote her first novel during her first few years of teaching. After studying English Literature at Aberystwyth she got her first publishing deal aged 26 and went on to write three more novels for Bloomsbury. She took a break from writing to raise her three children, and during this time taught Creative Writing and a Children’s Literature course for the Open University. Her novels for young adults, The Boy who Drew the Future (2015) and Hope (2017), are both published by Firefly. She was a National Trust writer-in-residence at Sudbury Hall and at the National Trust Museum of Childhood. 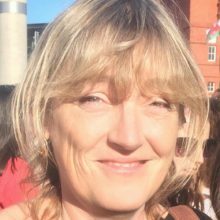 Penny Thomas is publisher and co-founder of Firefly Press, an award-winning Wales-based publisher for 5-19 year olds. She was previously fiction editor with Seren literary publishers and is a trained journalist. 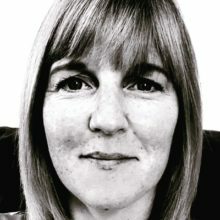 Penny has a BA in English Language and Literature from Keble College, Oxford and lives in Cardiff with her partner and two children.